French Muslim who murdered four at Brussels Jewish museum after returning to Europe from Syria found guilty by Belgian court. French jihadi terrorist Mehdi Nemmouche was found guilty Thursday of the "terrorist murders" of four people at Brussels' Jewish museum, the first case of a Syria jihad veteran to stage an attack in Europe. Nemmouche, 33, sporting a trimmed beard and wearing a navy blue sweater, showed no emotion and stared into space as the verdict was delivered. He now faces a life sentence for the anti-Semitic attack in the Belgian capital on May 24, 2014, following his return from Syria's battlefields. Sentencing could be as early as Friday. The 12 jurors, accompanied by the presiding judge and two other magistrates, had deliberated for more than two days in secret at a Brussels hotel before returning their verdict. This referred to arguments made by defense lawyers that Nemmouche was not to blame for the cold-blooded slaughter, but that he was caught up in some kind of plot targeting the Israeli intelligence agency Mossad. The legal argument had centered around Israeli couple Miriam and Emmanuel Riva, the first two of the four people killed in the attack. According to the defense, the museum shooting was not the work of the Islamic State group but a "targeted execution" aimed at Mossad agents. The defense said the Israeli couple who were killed were in fact Mossad agents murdered by another man who had hunted them down. 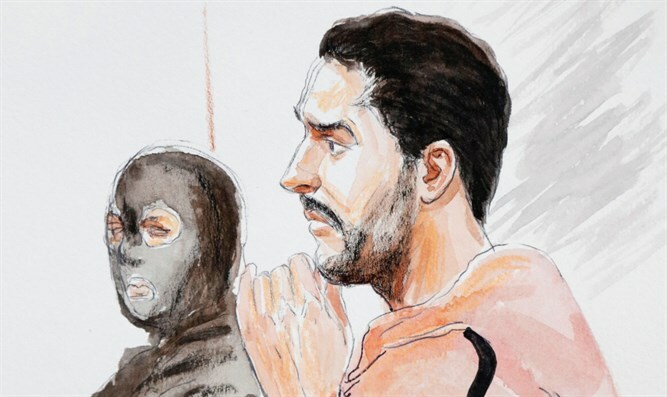 "Let's stop the joking," prosecutor Yves Moreau told the court earlier this week, describing the arguments presented by the defense as "complete nonsense" against compelling evidence. "We are both deeply convinced that the two accused did indeed commit these acts," one of the two prosecutors said in their indictment.